last week friday, my parents had a few friends over for dinner. four hours before we were expecting them to arrive, my mom and I were having a difficult time coming up with something to make–we wanted a dish that was warm and comforting for a snowy night without being too heavy. 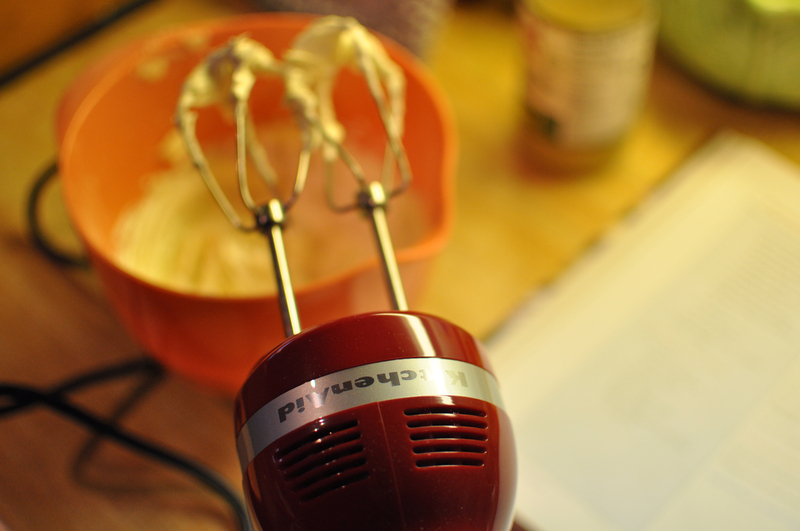 in the rush, i remembered a few cookbooks stashed away in the cupboard. one of my favorite restaurants is the common grill in chelsea, michigan. each time i go, I’m always so impressed by the creative intricacies in each dish, and have never, ever had a bad meal there. it’s definitely a place to seek out if you’re in close-by ann arbor; but my family sometimes makes the hour and a half trip from kalamazoo just for dinner–it’s that good. craig common, the owner, can often be found around dinner time; running plates, checking on tables, and greeting his patrons–it’s a wonderful atmosphere. the common grill cookbooks have wonderful ideas for entertaining. another thing I really appreciate about them is that they give ideas for a complete menu–so if you decide on having fish, there’s often the rice or vegetable recipe on the same page that you’d find on your plate if you were sitting at the restaurant. this recipe is slightly adapted from Return to the Common Grill. 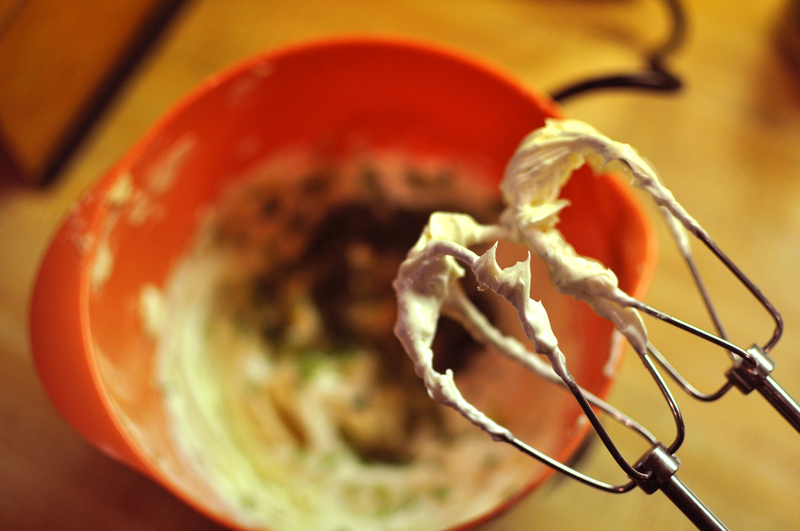 whip the butter in a mixing bowl until soft, then add the remaining ingredients & mix well. refrigerate till ready to use. soak the whitefish in milk for an hour. 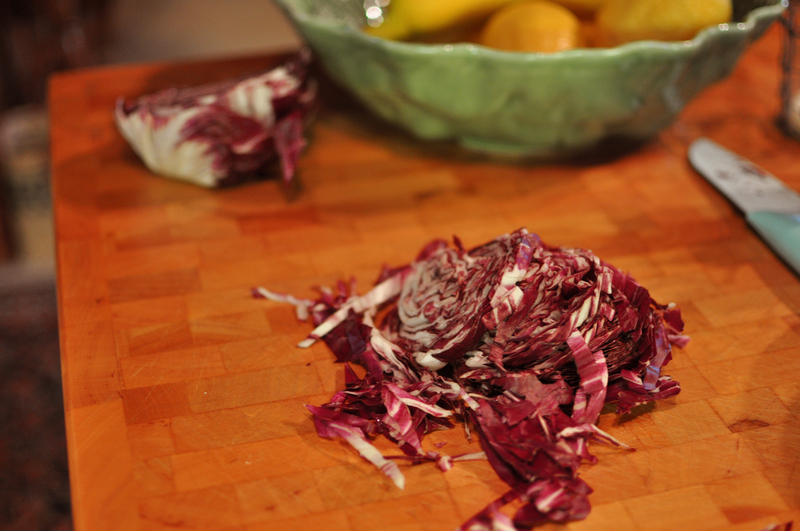 mix the orzo, mushrooms, and radicchio together & refrigerate. 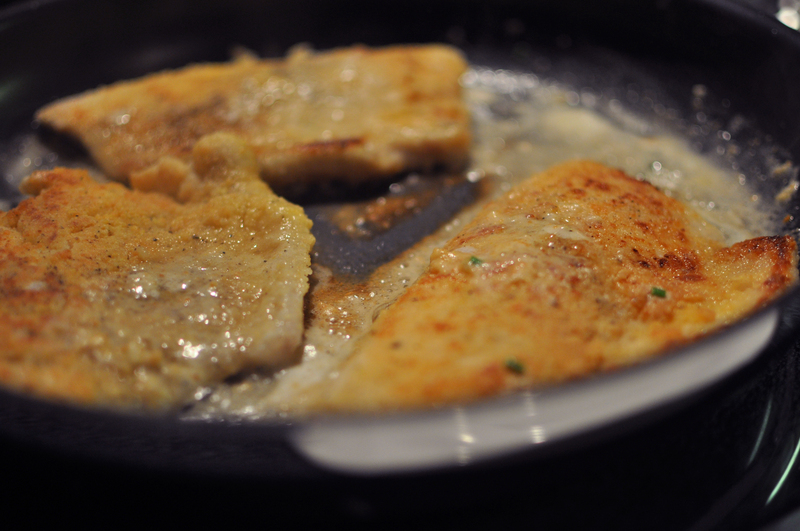 mix the Drake’s mix, rice flour and parmesan together, then dust the whitefish in the mixture. heat the wesson oil in a saute pan, and cook the whitefish, turning once or twice, until its golden brown and the fish is firm. 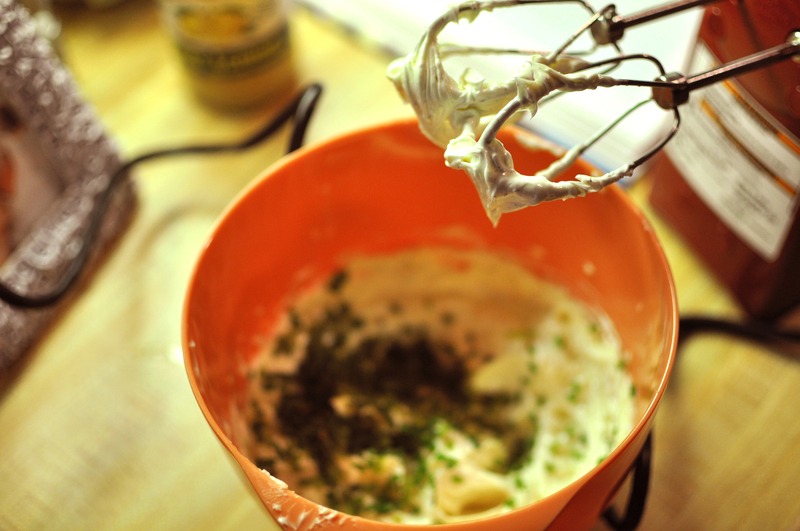 when its done, remove it from the pan, and then add the lemon chive butter while the pan is still hot, to melt it. in another pan, heat more oil and add the orzo mixture, heating until its ready to serve. 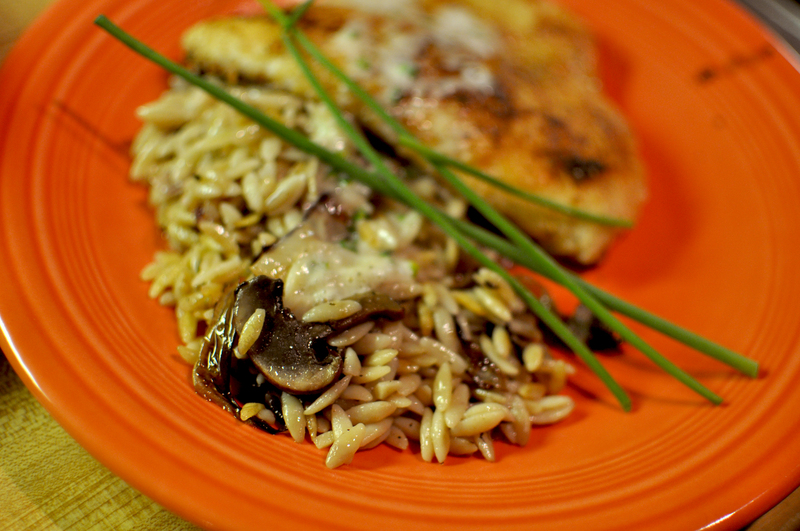 on each plate, place a generous spoonful of the orzo. 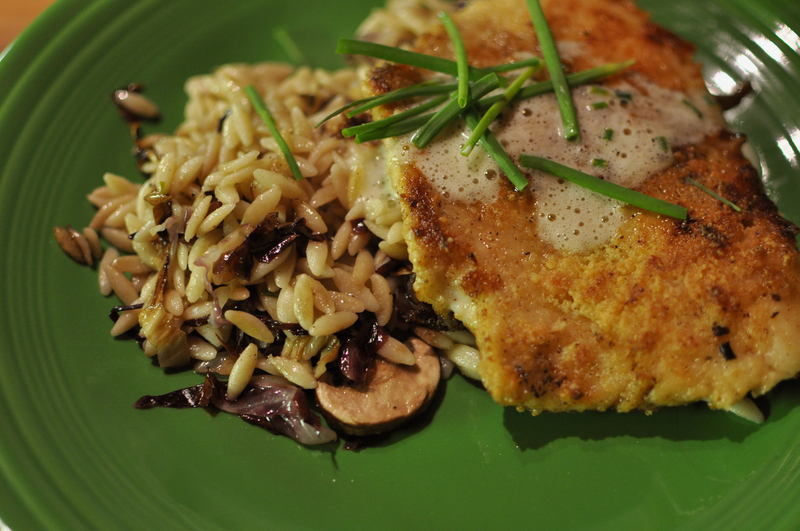 place the whitefish on top of the pasta, drizzle with the lemon chive butter, and garnish with chives & a lemon wedge. the beans, or whatever vegetable you prefer, will be served on the side.